MONARCH MOUNTAIN IS TURNING 80! To commemorate this milestone we are making available a limited edition, Monarch Only anniversary season pass. It includes all the benefits & discounts you’ve enjoyed at Monarch, without the partner resorts – at a discounted rate from our regular pass. But don’t worry – if you want to enjoy skiing/riding at our partner resorts, all our regular season passes will also be available! A no-interest Payment Plan that automatically charges your credit card in equal, monthly payments. * Super Seniors ski free at Monarch; for a small administration fee get a pass and skip the windows. Super Senior pass does not include reciprocal days at Partner resorts. All other benefits apply. ** Children 6 & under ski free at Monarch; for a small administration fee get a pass and skip the windows. Child pass gets unlimited skiing at Monarch Mountain. No other benefits apply. ***Valid for active duty, reserve, retired, and dependent with a current and valid Military ID. Verification is required. Season pass insurance is available through a third-party vendor (Travel Guard). Insurance is 7% the price of the pass. For WINGS Pass Benefits & Discounts see www.skimonarch.com/wings. • Unlimited skiing at Monarch Mountain. Every day. All season. • One time purchase of a 4-pk of Monarch lift tickets to share for $179. Tickets are fully transferable and good any day of the season. Tickets are not to be resold. • One discounted buddy ticket purchase per day; price $57. Buddy must be present. 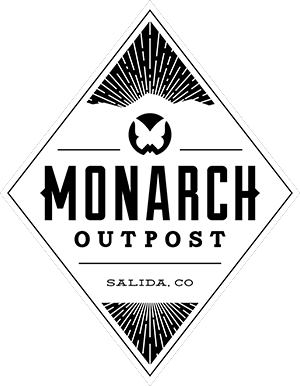 • 10% off at the Monarch Rental Shop. • 10% off in the Outer Edge Gear & Gifts Shop, every day. • 30% off Tubing Park admission, walk-in only (non-transferable; applies to passholder only), (blacked out 12/26/19-1/4/20, 2/15/20-2/16/20, and 3/10/20-3/14/20), based on availability. • 30% off a purchase of $100 or more in the Outer Edge Gear & Gifts Shop, valid once. • $20 off a private lesson (non-transferrable; applies to passholder only). Can be used multiple times. • 20% off beginner (lvl 1, 2, or 3) group lesson (non-transferable; applies to passholder only). Can be used multiple times. • One (1) free day in one of the Adult (ages 16+) Seasonal Programs (non-transferrable; applies to passholder only). • Load $$$ to your season pass to use at any Monarch outlet. Activate this feature at the Season Pass Desk or by calling 719.530.5105. We are in the process of renewing/setting up 2019-20 contracts with additional resorts. They will be added when confirmed. 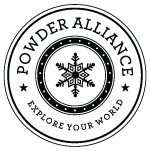 Monarch is a member of PowderAlliance! * Restrictions apply. For resorts that are both Monarch & Powder Alliance partners, the Monarch partnership applies - not both. Visit www.PowderAlliance.com for more details.